I've facebooked and Instagrammed my new vest a few times already and the reaction hasn't been positive - I've even heard open sniggering about it when I'm walking down the street but I don't care because I LOVE MY ROMWE VEST. 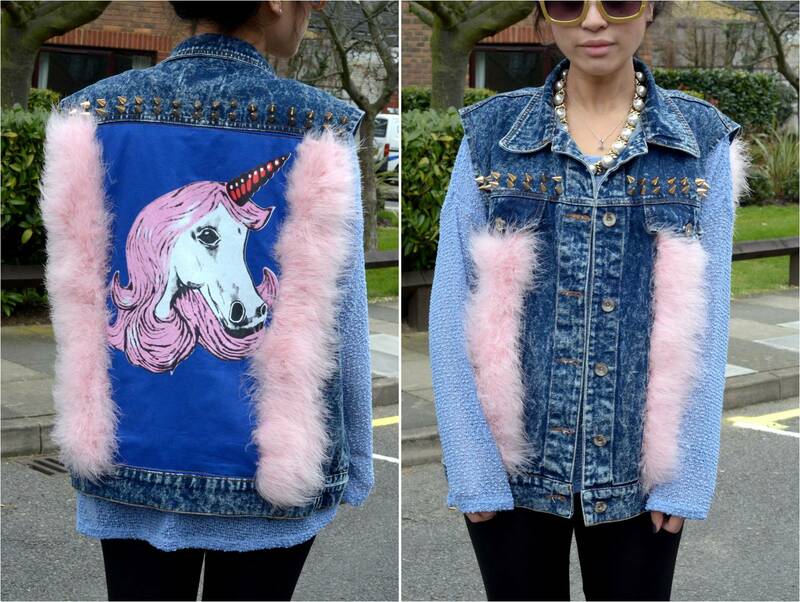 It's got studs, bleached denim, unicorns and pink feathers...what's not to love? !